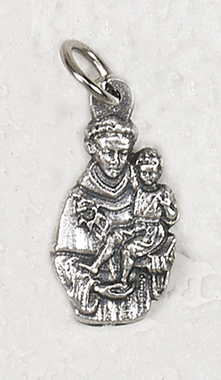 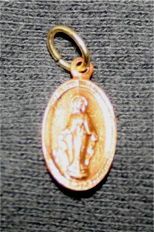 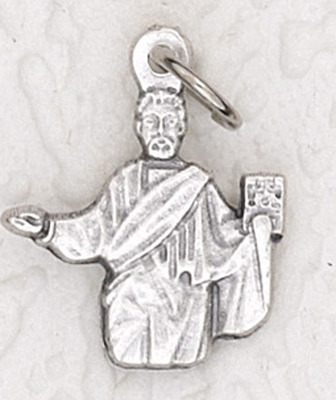 St. Anthony Tiny Medal Charm- beautiful detail, this tiny charm medallion can be worn on a charm bracelet, a chain as a necklace, or even as a watch medal. 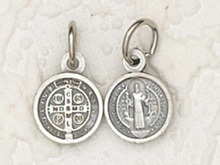 Expressly detailed on silver tone flip ring, imported from Italy. 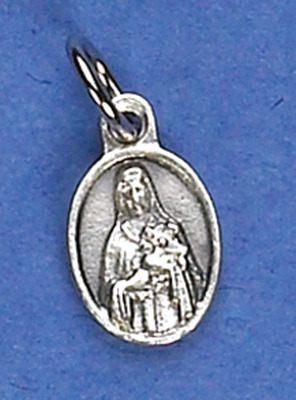 Measure about 2 cm high - Available here at an amazing low price!